If you’re crossing into the “grey areas” of healthy relationship boundaries, it’s time to ask yourself the tough questions. For starters: Am I cheating? All actions begin with intention. Why are you having a drink with a co-worker? Why are you lingering after yoga class with one of your classmates? Why are you exchanging text messages with your ex? Be honest with yourself, and then you can be honest with your partner. And, if your intentions aren’t as innocent as you imagined, begin to examine what’s driving the desire. 2. Would you be upset if your partner was doing what you’re doing? When in doubt, switch roles. What if your partner was coming home late from the bar without calling? What if your partner was attending social events you didn’t know about? If you get a funny feeling in your stomach, that’s usually a red flag to re-examine how you’re spending your free time. 3. Would your partner identify your behavior as cheating? Not all social interactions are created equal. Even more important is the fact that not everyone interprets all social interactions the same way. Even if you honestly think your behavior is coming from a place of innocence, your partner may not. Discuss appropriate boundaries, so there aren’t any opportunities to misinterpret a seemingly innocent situation. 4. Are you hiding those seemingly innocent situations? If you’re engaging in activity that you wouldn’t share with your partner, it may not be as innocent as it seems. While everyone needs their own private space and time, despite their relationship status, if it gets to the point where you’re not comfortable sharing how you’re spending time away from each other, it’s generally not an honest space from which to navigate a relationship. 5. Are you living in a state of anticipation? Do you look forward to interacting with another person that you’ve been spending time with or communicating with regularly? Are you wondering what might happen next? If you find yourself running through imaginary scenarios, with someone other than your partner, there’s a good chance some of them could play out in real life. 6. Have your interactions with your partner changed? 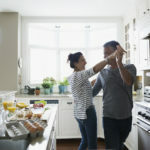 Are you spending less time with your partner? Or, are you spending the time, but not putting in the effort? Maybe you’re not communicating as deeply, or you’re avoiding bedroom time. Examine the shifts the relationship may be taking to see if they’re a result of inappropriate external behavior. 7. Have you stopped making plans for the future with your partner? It’s amazing to live in the moment, however when the moment is the only focus of the relationship, something is amiss. Subconsciously you could be focused on that outside situation without even realizing you’ve checked out of your current relationship. If your plans don’t extend beyond that evening’s dinner, ask yourself where your plans are taking you. Relationships are hard. Relationships are even harder when one person has stepped out. My husband is really lucky since I’ve already made all of these mistakes in past relationships so that there’s no chance of me repeating them. But, I do maintain a few healthy fantasies about ‘80s rock stars—and I make sure he’s always aware of them so there are no surprises should one come calling!